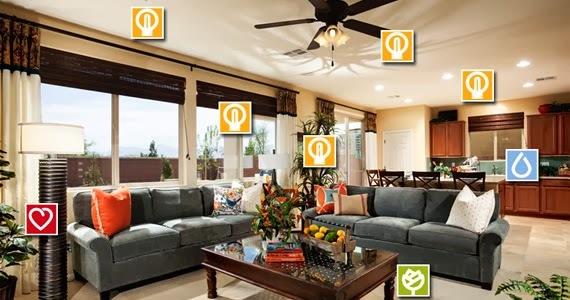 Researchers from the University of California, Berkeley and the University of California, Los Angeles today released a new study on the economic value of green home labels in the California residential marketplace. “The Value of Green Labels in the California Housing Market” is the first rigorous, large-scale independent economic analysis of the value of green home labels in California. The study found that a green home label adds an average 9 percent price premium for single-family homes in California. Based on the average California home price of $400,000, homes with a green label sell for an average of $34,800 more than comparable homes without a green label. In addition, the study yields two key insights into the effect of green labels on property values. First, the price premium associated with a green label varies considerably from region to region in California, and is highest in the areas with hotter climates. This trend may indicate that residents in these areas value green labels more due to the increased cost of keeping a home cool. Second, the premium is also positively correlated to the environmental ideology of the area, as measured by the rate of registration of hybrid vehicles. The observed correlation suggests that some homeowners attribute value to intangible qualities associated with owning a green home. Led by researchers Nils Kok, visiting professor at the University of California, Berkeley, and Matthew Kahn, professor at the Institute of the Environment, Department of Public Policy and Department of Economics at the University of California, Los Angeles, the study examined data on the 1.6 million single-family homes sold between 2007 and 2012 in California. Of these homes, approximately 4,300 were certified with green home labels from Energy Star, GreenPoint Rated, or LEED for Homes. The estimated $34,800 price premium for green-labeled homes is significantly greater than the price increase associated with other typical home improvements made by homeowners prior to sale, such as home staging. A 2012 survey by HomeGain found that staged homes sold for an average of $2,144 more than non-staged homes, while an upgrade of the kitchen and bathroom was found to increase the sale price by $3,254. Other features that reduce environmental impact such as proximity to parks, shops and transit. Growing awareness about global warming and the extent of greenhouse gas emissions from the residential sector has increased attention to green building in recent years. Previous research has shown the value of green labels and certifications in the commercial real estate sector. “The Value of Green Labels in the California Housing Market” confirms that the same trend applies to single-family homes. “The Value of Green Labels in the California Housing Market” has been submitted for presentation at the 2013 Annual Meeting of the American Economic Association and will be submitted to a scientific journal in fall 2012.